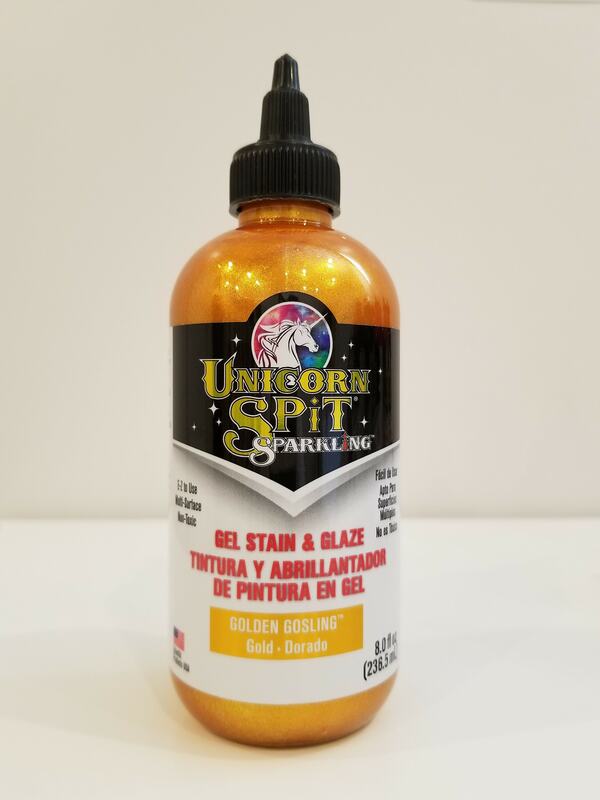 This listing is for purchasing individual bottles of Unicorn Sparkling SPiT in the 8 oz size. Turn ordinary objects into masterpieces that have a holographic like appearance. 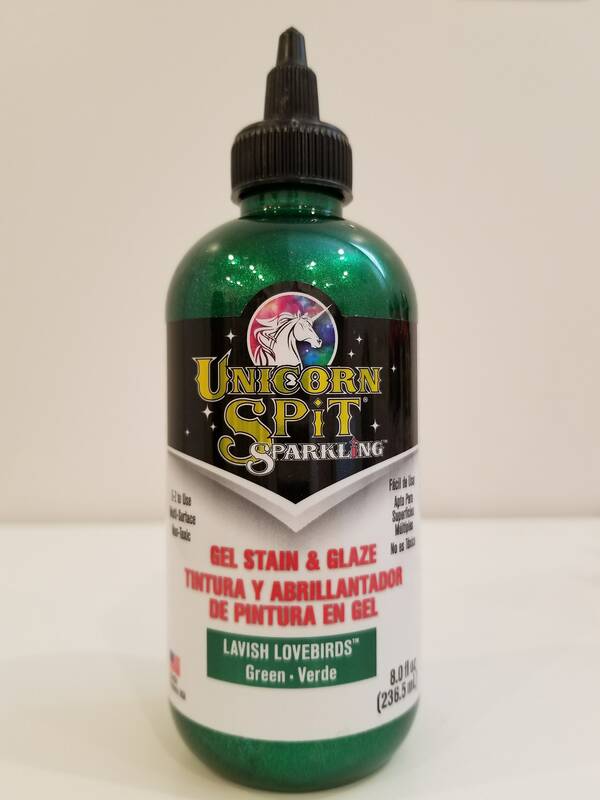 Use on wood, glass, metal, fabric, concrete, canvas, laminate & more. 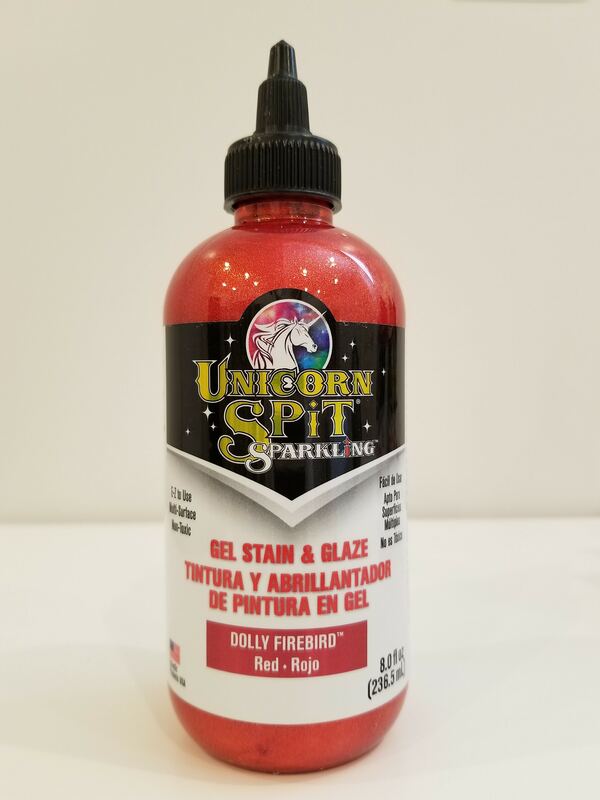 Ideal for creating new - or - refinishing thousands of projects. 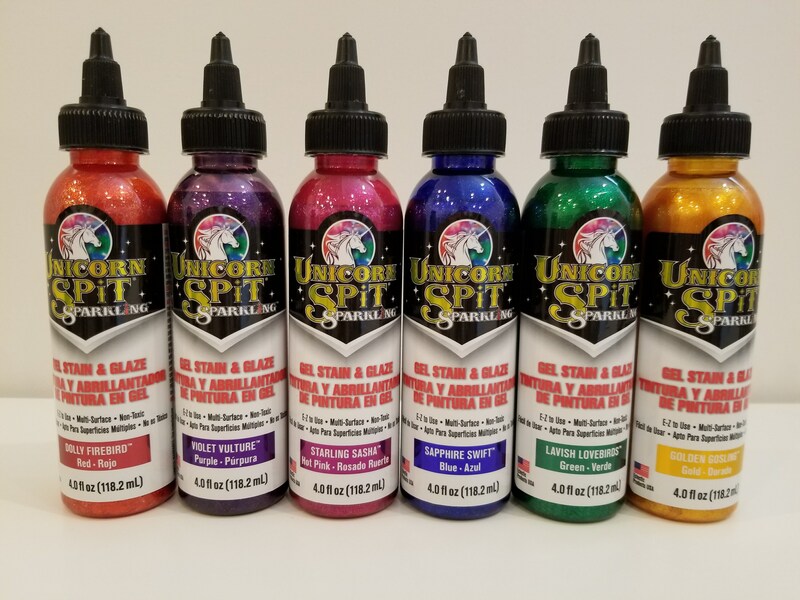 Excellent for crafters, hobbyists, DIYers and pros alike! 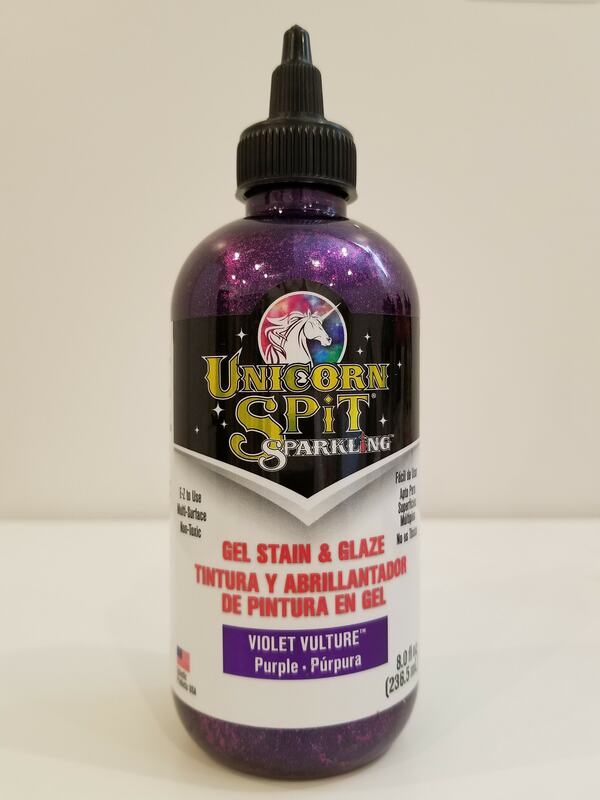 SPARKLiNG Unicorn SPiT gel stains are highly pigmented, with holographic sparkles and can be diluted up to 10% with water. 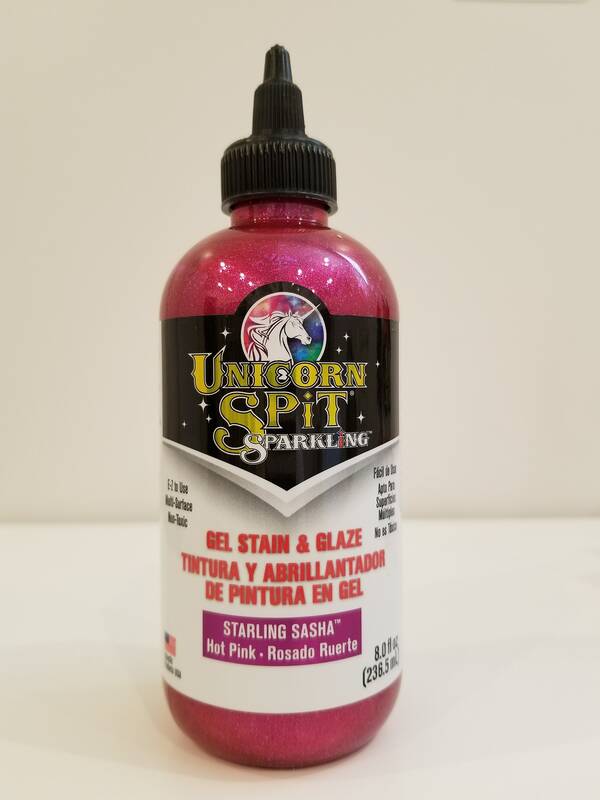 These gel stains are a little different from our original Unicorn SPiT colored gel stains. They are gorgeous sparkly colors, as well as, bright and fun.